The perfect charm to personalise your bracelet - the Classic Rose Gold Letter M Charm by Nomination. This sparkling charm is crafted from stainless steel, detailed with a rose gold letter M and finished with a shimmering cubic zirconia stone. https://www.johngreed.com/nomination-classic-rose-gold-letter-m-charm 132231 Classic Rose Gold Letter M Charm https://www.johngreed.com/media/catalog/product/n/c/nc6030_0_1.jpg 27 27 GBP InStock /Women /Women/Charms /Women/Brands/Nomination /Women/Brands/Nomination/Nomination Charms /Women/Rose Jewellery /Women/Gold Jewellery /Women/Gifts/Themes/Initials /Women/Gifts /Women/Brands /Women/Gifts/Themes The perfect charm to personalise your bracelet - the Classic Rose Gold Letter M Charm by Nomination. 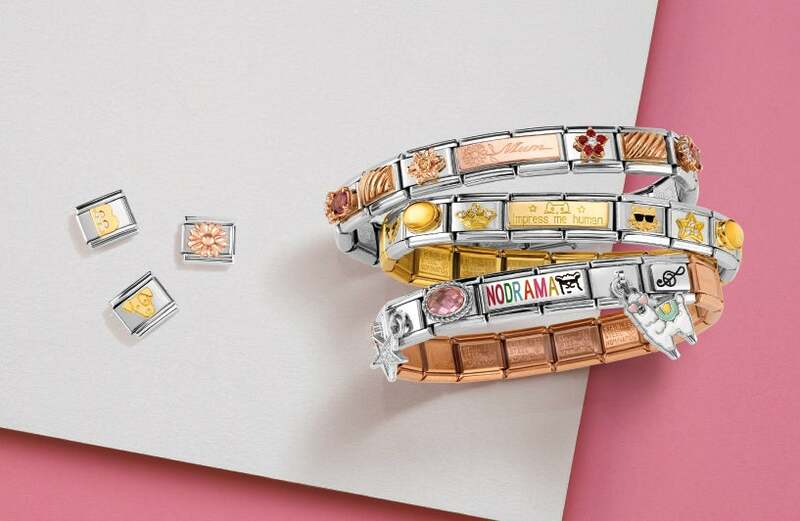 This sparkling charm is crafted from stainless steel, detailed with a rose gold letter M and finished with a shimmering cubic zirconia stone.